We are delighted to be hosting the Coy Carp pub quiz as the venue is truly stunning. Ray is the quiz master a stand up comedian who has a real passion for quizzes. A roaring fire in the winter and in the summer the pub has picturesque views. 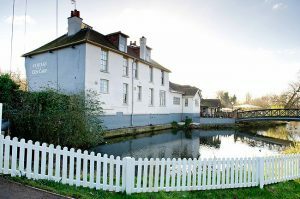 Originally known as the The Fisheries, The Coy Carp in Harefield dates back to the times before The Grand Union Canal was constructed.